Email's are checked at least once a day. Address- 7 Ashford Lea, Desborough, Kettering, Northamptonshire. NN14 2UT. 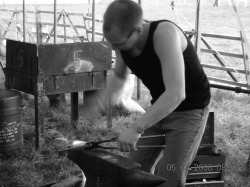 Shoemaking competition- Leicestershire County Show.